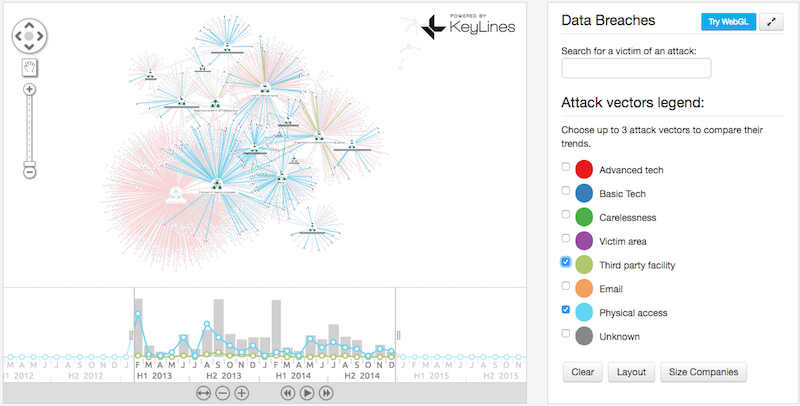 Data sharing presents a huge challenge to the security industry. When organizations are compromised, the common response is to switch to self-preservation mode. The full details of breaches are rarely disclosed which limits collective intelligence and arguably makes the life of attackers easier. Happily, there are several projects working to fix this. VERIS (the Vocabulary for Event Recording and Incident Sharing) aims to provide a common taxonomy for organizations to share information about their breaches. By helping organizations exchange war stories, they hope to facilitate co-operation and improve risk management. 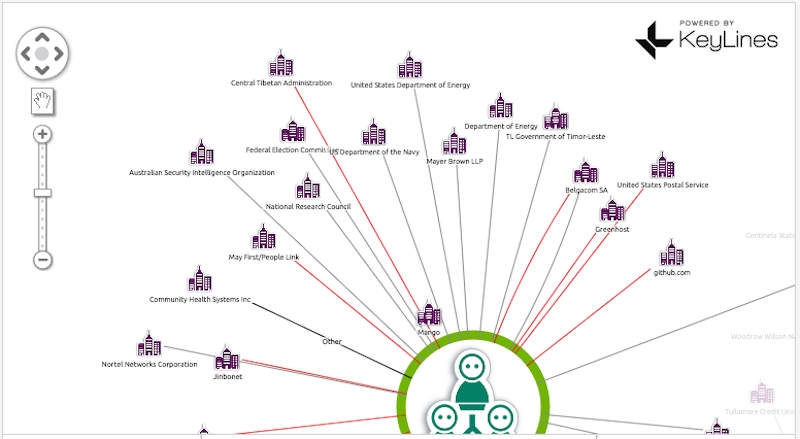 Alongside this project is the Veris Community Database: a project to collate and disseminate information about all publicly disclosed data breaches. Excitingly for data visualization enthusiasts like us, their data is openly available on Github. Actor – i.e. who performed the attack? Action – i.e. what was the attack vector? Asset – i.e. who or what was the attack victim? 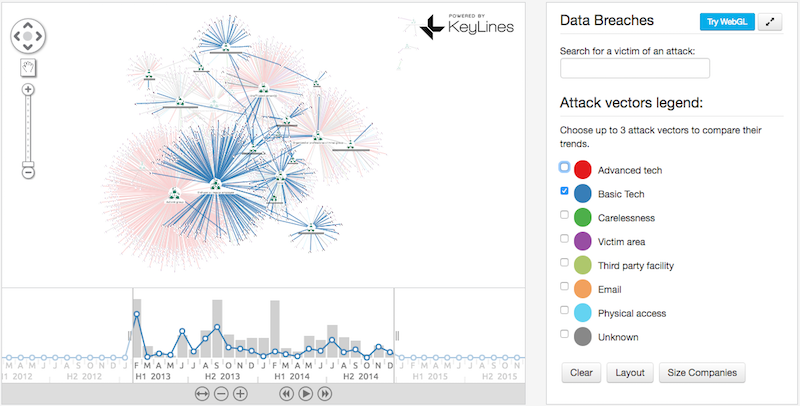 For each of the 5500+ attacks listed there are more than 150 data points, so we need to design a visual model that will enable us to explore the data set and answer some key questions. Our visual data model. 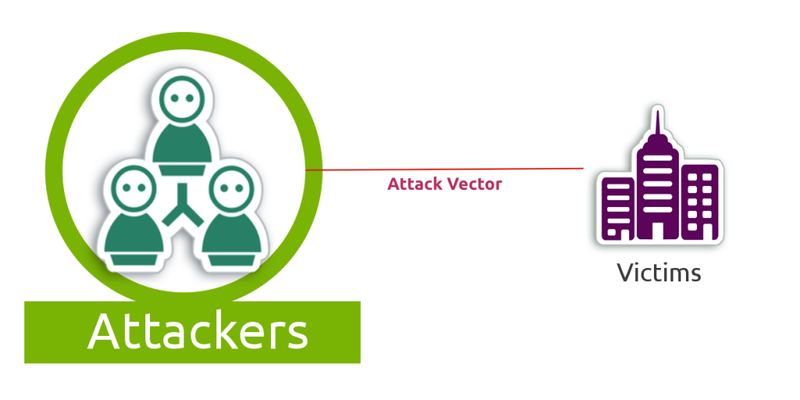 Nodes represent attackers and victims, with attack vectors shown as links. 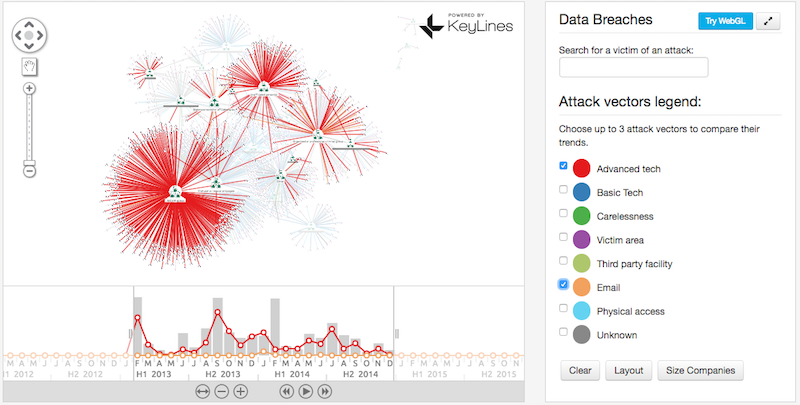 Let’s take the data (handily provided in JSON format) and load it in a KeyLines chart. An overview of the entire dataset, ready to be filtered and explored. The large red group shows Activist Groups favor ‘Advanced Technology’ including remote access, command shell and VPNs. 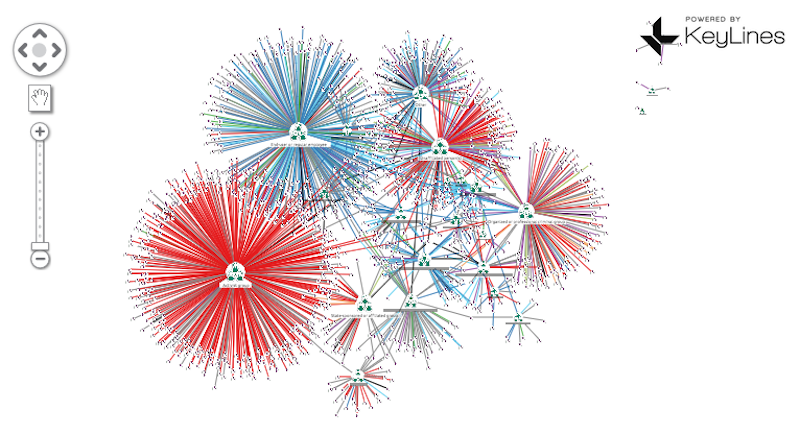 The large mostly blue/green cluster indicates breaches originating from end-users or employees. These are more likely to be caused by carelessness, physical access or basic technology, like desktop sharing or document theft. Comparing advanced technologies (red) to email (orange) – breaches via email seemingly pose less of a threat. Basic methods seem to be less popular towards the end of our dataset – perhaps a consequence of companies being more aware of simple document theft. Comparing Physical Access (blue) to Third party facilities (green) seems to suggest intruders are more of a threat than suppliers and partners. Data breaches by email are seemingly most popular with organized criminal groups. 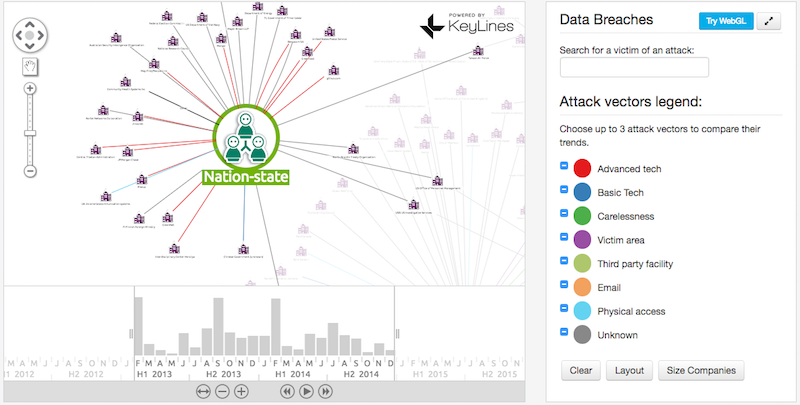 Attacks by nation states are a mix of advanced techniques and the unknown. They also focus, unsurprisingly, on high profile public sector targets. 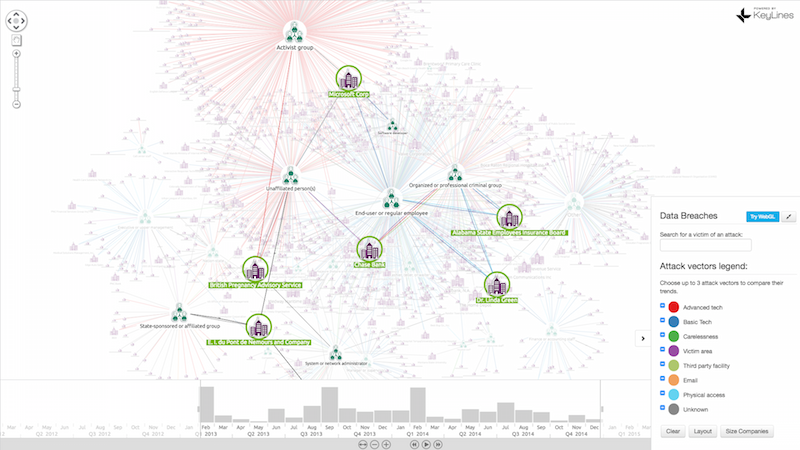 In this dataset, the most attacked organizations are a mostly multinationals (DuPont, Microsoft Corp, Chase Bank), but also some smaller organizations hit by breaches. 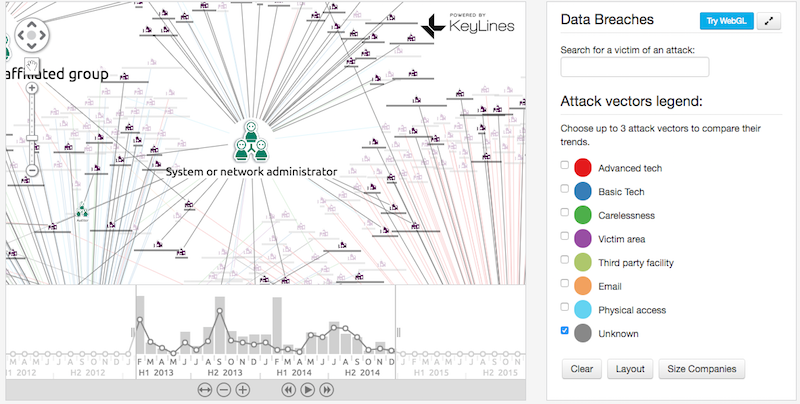 KeyLines makes it possible for us to visualize and explore thousands of attack records in a single chart. By configuring the data model to show different aspects of the Veris schema we can find new trends – a process made faster and more interactive with the help of layouts, filters, social network analysis and the KeyLines time bar. Want to explore the data for yourself? 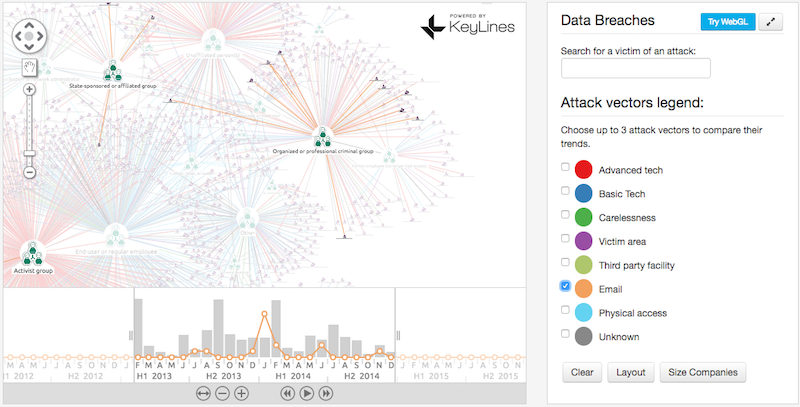 You can find the demo application in the KeyLines SDK (Demos > Data Breaches). Use the form below to request an account!